Web painted in and colors adjusted (tricks in Photoshop) for a slightly spooky effect. I love these and miss seeing them. Used to see them everywhere in the preserves I went to in upstate New York. Lovely! Thanks. They planted these with rushes. Cool photo, Sherry; textures are wonderful. 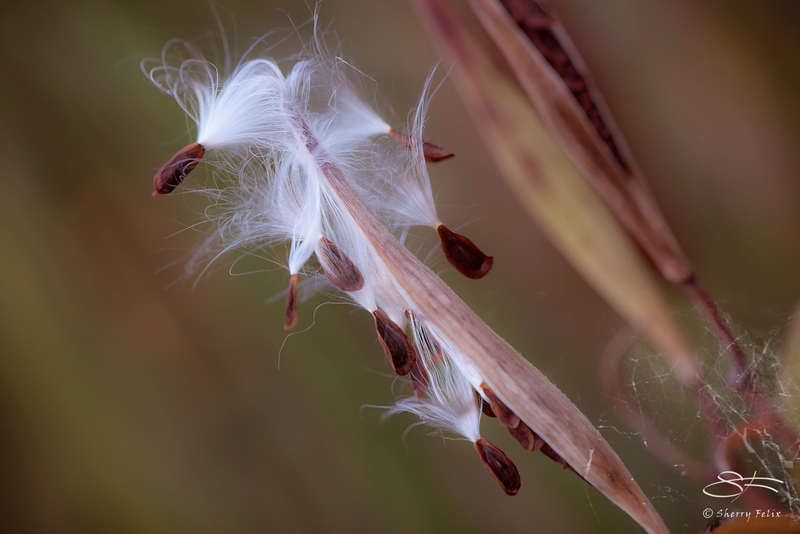 Reminds me of milk weed. Thanks. It might b e a variety of milkweed, don’t know or sure. Thanks. I did some outlining and other effects to enhance it a bit. Well done – I like it! Thanks. I always say if l have altered something.